Our trip to Turkey didn’t go as planned: 4 flights, overnight and no baggage on arrival. After travelling for 18 hours (from Oslo, via Trondheim, Arlanda and Istanbul) we weren’t complaining to be forced into a rest day due to lack of our possesions. We were promised our baggage on the next morning flight, but problems arrived when the flight was cancelled. In the end we were 40 hours without baggage, so had to take 2 rest days; apart from a 30 minute run in the evening on Tuesday (which was a little fast for me and nearly destroyed my legs). 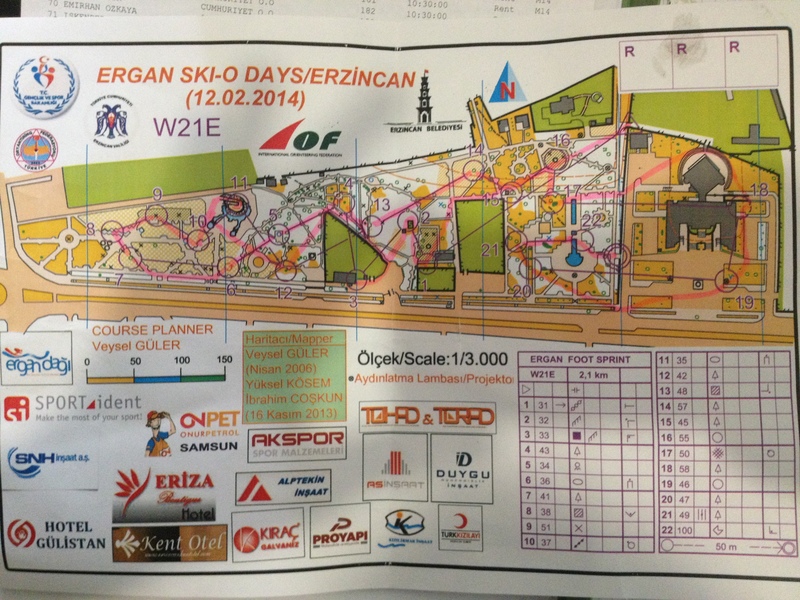 Yesterday was the IOF Ski-Orienteering Academy in Erzincan, Turkey presented by Hans Jørgen. He was a massive hit with the 120 participants, and it was fantastic to see first time orienteers (XC Skiers) tackling the challenging model event! There are some real talents there and the Turkish Federation have committed to send at least one athlete to the next Ski-O WOC. Today was the Foot-O sprint in the park of Erzincan. The organisers had sent an invite to the local schools stating that 10% of pupils could attend the event and race. For all of them, it was their first chance at orienteering, so the park was full of teenagers running around getting distracted as they cheered, ‘Emely, Emely, Emely!’ It was amusing to see them run after me and then stop and realise I wasn’t at their control, but it seemed they all had a great time. Interestingly, they were just let loose with no formal orienteering education about the map and what to do, but they picked up the basics on their own and had more fun than I’ve ever seen in any British school. I can’t remember the last time I went foot-orienteering, but the last time I ran was a few months ago, so I knew my legs would be in for a shock, especially my calves that don’t get used in the same way skiing or biking. The course was 2.1km with 22 controls, in this crazy little park where running straight was the name of the game! But with 36 controls and no compass, it was a little more challenging to get the right direction and right control. 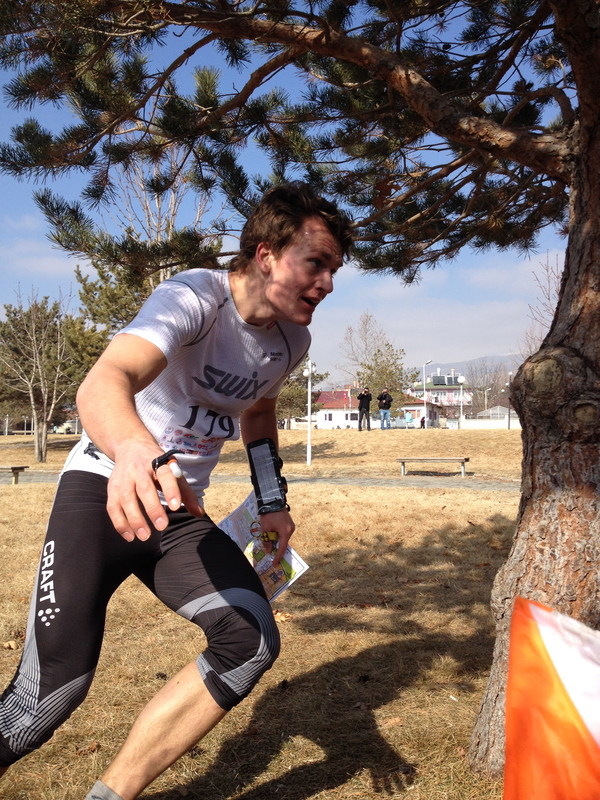 I took 3rd place behind Magdalena Olsson SWE and Daisy Kudre EST, both well known ski-orienteers. I was 1min 10 secs behind the winning time and 30 seconds from 2nd, so considering I rarely run, I’m pleased with this. My legs clearly have enough strength to run relatively well. The sun was even shining and warmed up to a lovely 6°C, which was made all the better with stunning snow capped mountain views. I always feel priviledged through MTBO to visit some hidden gems around Europe that are seldom visited by normal tourists, and Erzincan is one of these places. The people here are so excited to see foreigners (those at the Ski-O Academy and Foot-O event) that I have been smiling non-stop for cameras all day for pictures taken with various people. They speak a little English, but know enough to say ‘photo’! They don’t know anything about Hans Jørgen’s or my international MTBO/Ski-O results but they are still so excited to have us in their city. The organisers have done a magnificent job, creating an event that is far superior to the recent winters World Cup events. The opening ceremony itself had the Turkish Orienteering President and the Turkish Defence Minister present as well as the entire city of 95,000 turning up to watch the procession and prize giving ceremony. Even the children holding the national flags were super excited to be doing their job. Furthermore this event has attracted massive sponsorship: €1800 prize money for elite men and the same for elite women from 1st to 5th place! Even the 20 classes have a pot of over €1000. Which is amazing considering this is the first Turkish Ski-O event. Not only that but the event offered free accommodation, food, transport (event) and entry for the first 50 competitors to enter. 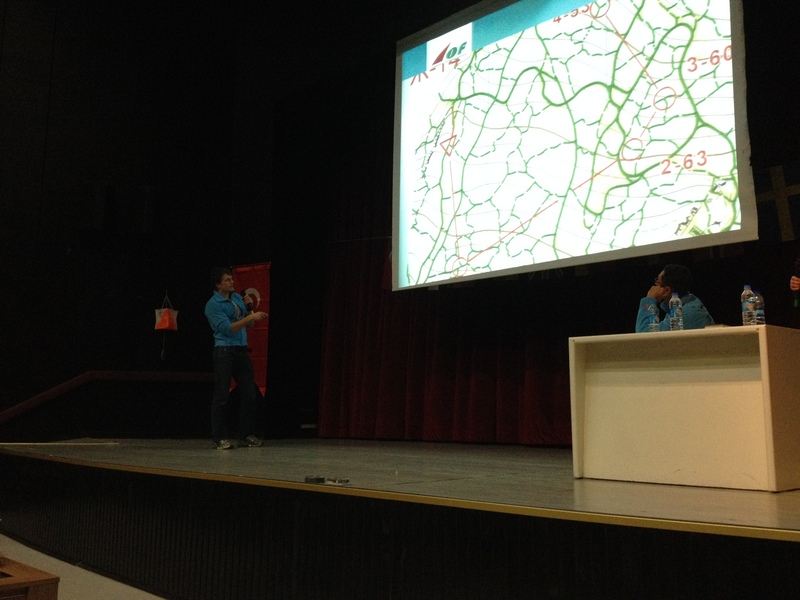 I think MTBO and Ski-O event organisers can learn a lot from this group in Turkey. Tomorrow is the Ski-O event at 2000m of altitude, so I’m looking forward to this. I don’t have a chance to fight for the win or even 3rd, but I hope to take 4th or 5th place! This entry was posted in SkiO Competitions, SkiO Training. Bookmark the permalink.